Available as a compact disc or cassette ($9.95 $10.98). Please indicate your preference when ordering. If ordering the cassette, the price will be adjusted upon receipt of your order but will not be shown on your program-generated receipt. 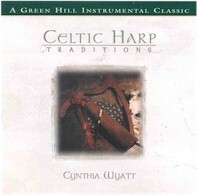 Also available as part of the specially-priced set called Celtic Journey with Celtic Portraits, and Celtic Visions.